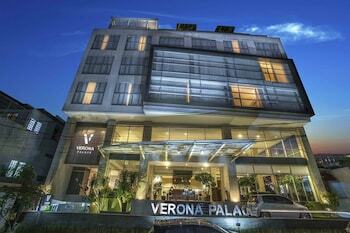 A stay at Verona Palace Hotel Bandung places you in the heart of Bandung, steps from Maranatha Christian University and 12 minutes by foot from BTC Fashion Mall. Featured amenities include express check-in, complimentary newspapers in the lobby, and dry cleaning/laundry services. Free self parking is available onsite. When you stay at Scallywags Mango Motel in Gili Air, you'll be near the beach and 8 minutes by foot from Gili Air Docks. The front desk is staffed during limited hours. With a stay at RedDoorz @ Panglima Sudirman in Surabaya, you'll be within a 15-minute walk of Sharp Bamboo Monument and Joko Dolog Statue. With a stay at ZEN Rooms Pasteur Babakan Jeruk in Bandung (Sukajadi), you'll be within a 10-minute drive of Barli Museum and Maranatha Christian University. Free self parking is available onsite.